Watch The Offspring’s Official Sharknado Video! 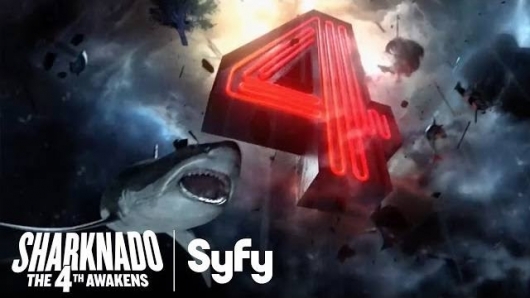 Tonight on Syfy Channel, the most anticipated event of the summer hits home… Sharknado: The 4th Awakens. 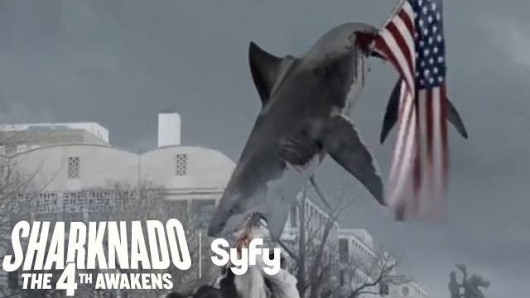 When Sharknado (2013) became a pop culture phenomenon thanks to celebrities tweeting about it, director Anthony C. Ferrante knew he had something, and they quickly churned out a sequel per-summer. One of the biggest highlights of any Sharknado film, is counting all the cameos. The cross-cultural hit, the Sharknado series has had cameos from actors (A-D list), musicians and rappers, entrepreneurs, politicos, pro-wrestlers, you name it. And now… a music video. After destroying Los Angeles, New York, and Disney, the Sharknado, (maybe the biggest sinful pleasure in TV history), finally heads to Sin City. Later this month on SyFy, the fourth entry into the franchise heads to Las Vegas, Nevada where once again, Finn Shepard must save the world, or in this case, D-List celebrities from an array of flying sharks. Set to appear along star Ian Ziering are a who’s who of celebs including Carrot Top, Vince Neil of Motley Crue, outspoken right wing actress Stacey Dash, and of course, Vegas legend Wayne Newton. Watch the preview videos below. The weather is getting warmer. The school year is winding down. That can mean only one thing… it’s time for another Sharknado!!! And Syfy will not disappoint, releasing the fourth installment in its laughably bad, but epically awesome series appropriately titled “The 4th Awakens.” Directed once again by Anthony C. Ferrante, the usual suspects return led by Ian Ziering as Fin Shepard. After Los Angeles, New York, and Orlando, where else would a Sharknado hit… well the desert of course… it’s viva Las Vegas for the CG sharks! 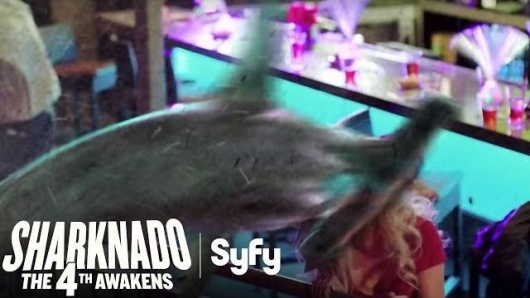 Check out the teaser for Sharknado: The 4th Awakens below.